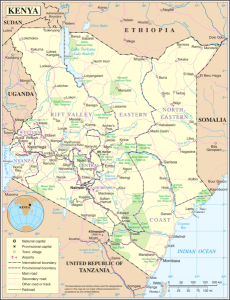 (World Watch Monitor) — Three Kenyan Christians were hacked to death by Al-Shabaab militants on Friday night (Aug. 18) after they refused to recite the Islamic prayer of faith. A fourth Christian—the mentally challenged older brother of one of the three—was also killed. At around 9pm, Changawa Muthemba, who was in his forties, was dragged out of his home in Kasala Kairu, Lamu County, by a group of armed men and taken to the nearby home of his brother-in-law, Joseph Kasena, 42, where a 17-year-old neighbour, Kadenge Katana, also happened to be at the time. The three men were held at machete point and ordered to recite the Shahada. When none of them did, the attackers began to tie them up. When the men resisted, they were hacked to death. Then the attackers went to the home of Joseph’s older brother, Charo, who was in his late forties, and killed him.